Installation view: Denise Rene Gallery, Paris. 2007. Metal frame, monofilament, LED light, electric transformer. 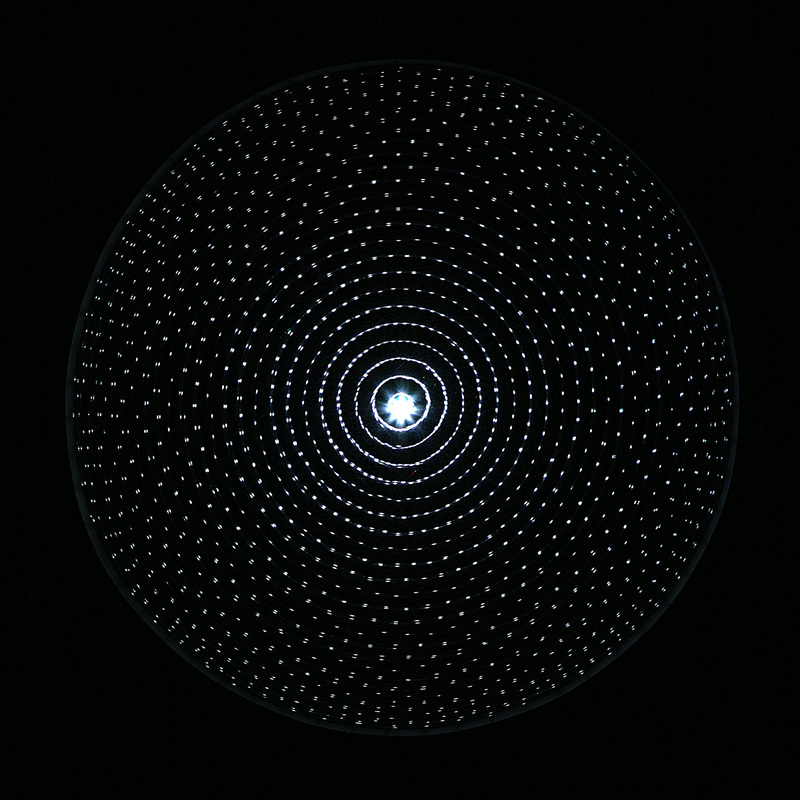 Diameter 95 x 8 cm. 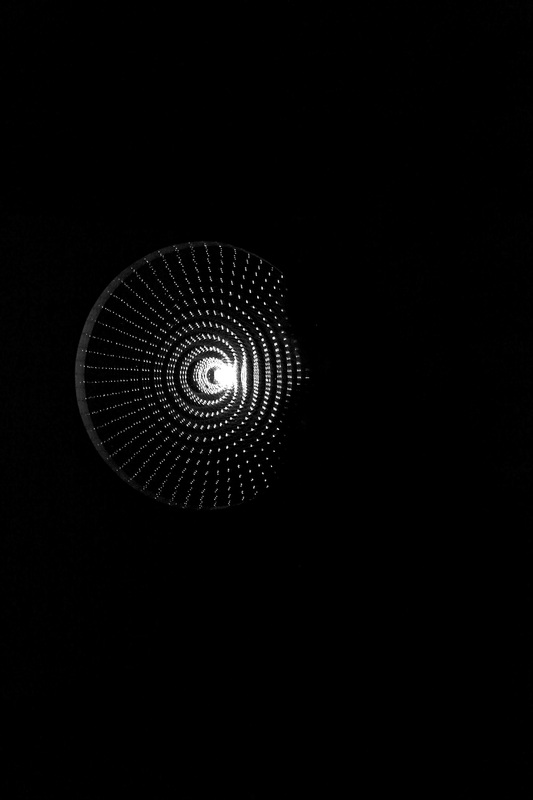 A torus-like shape created by light specks floats in a dark room, with its circular opening facing the viewer. Its depth is indefinable, although seeming very deep. 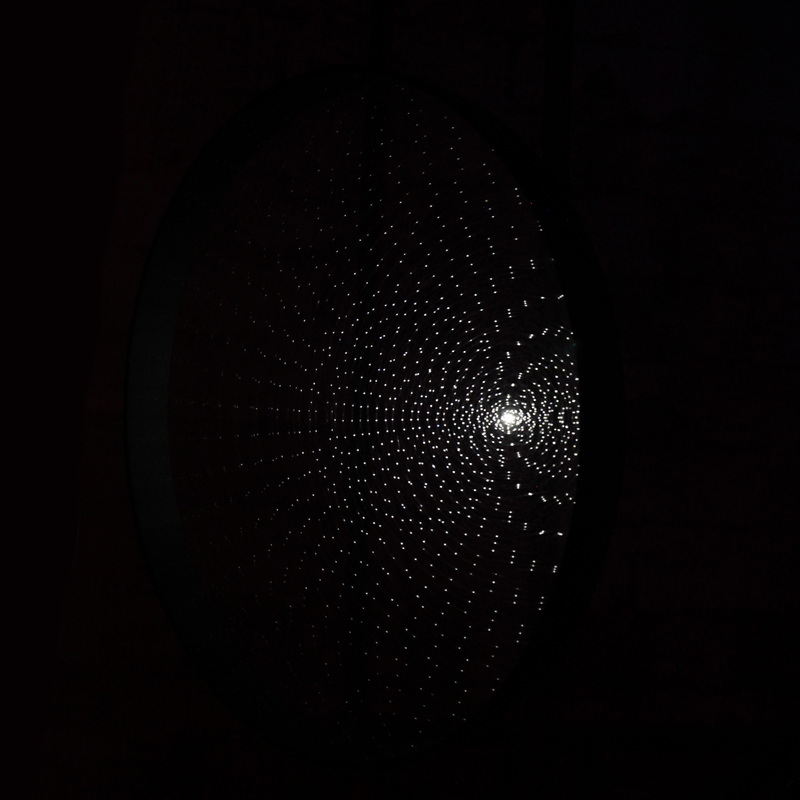 As the viewer moves, the torus slowly curves and curiously extends further back into the space, as an endless hole. 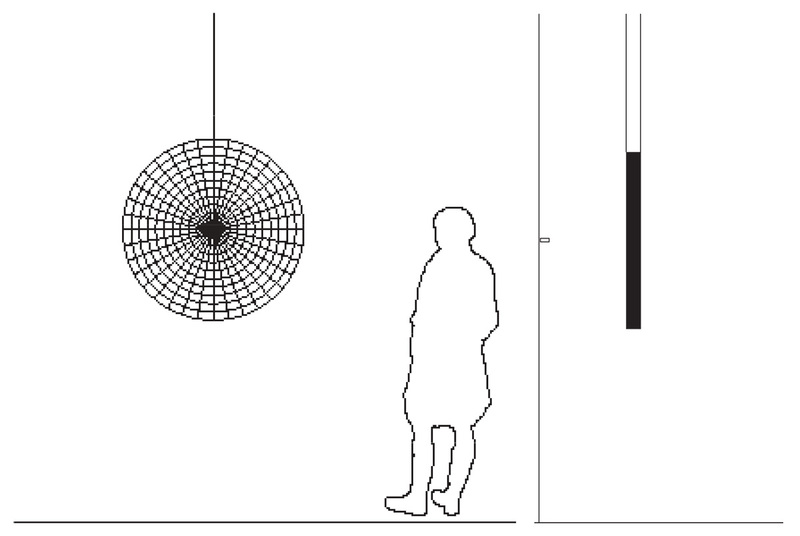 A metal ring is suspended from the ceiling, parallel with the wall. It is interwoven with numerous monofilament lines, installed in three layers. LED light is positioned behind the structure and projects light onto it. 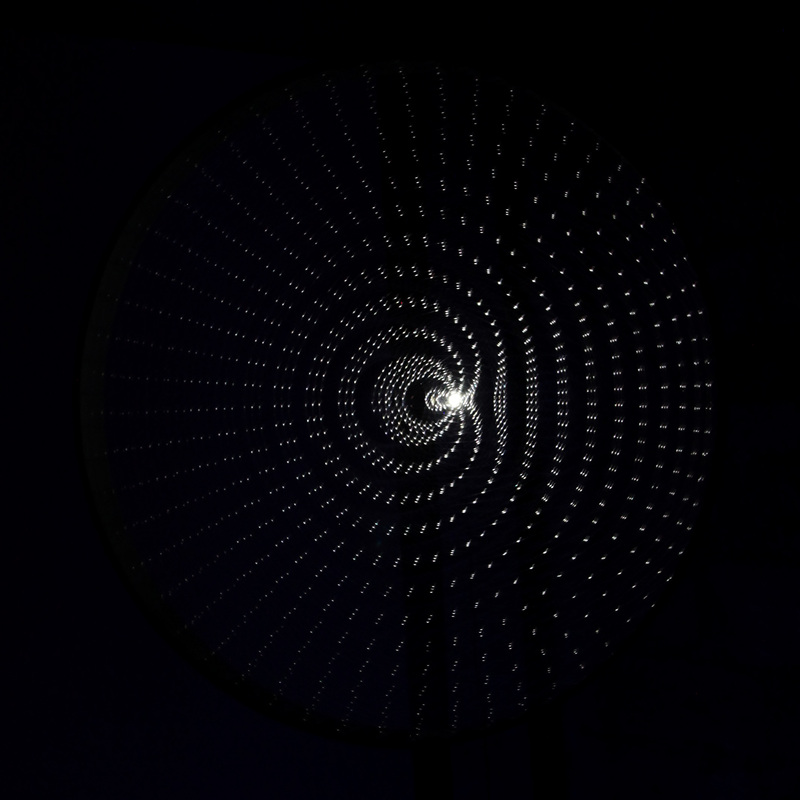 The constellation of reflected light dots creates the appearance of a three-dimensional ephemeral object – a torus – coming from the actual circular shape. A circle is divided into 60 degrees. 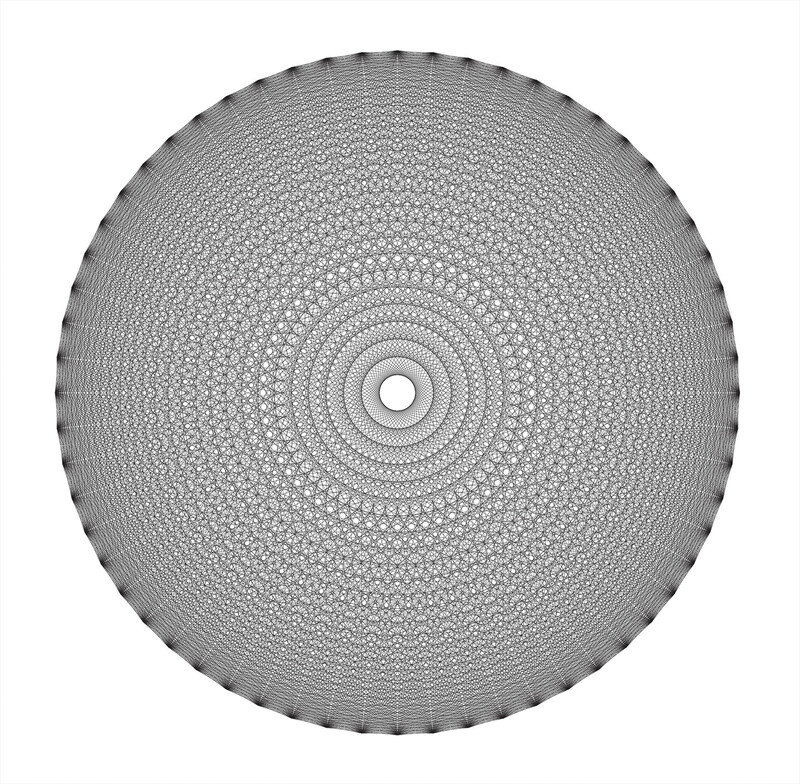 Each degree (a point on the circle) is connected by the lines with all the other points. There are 3540 connections and 1770 lines of each layer. 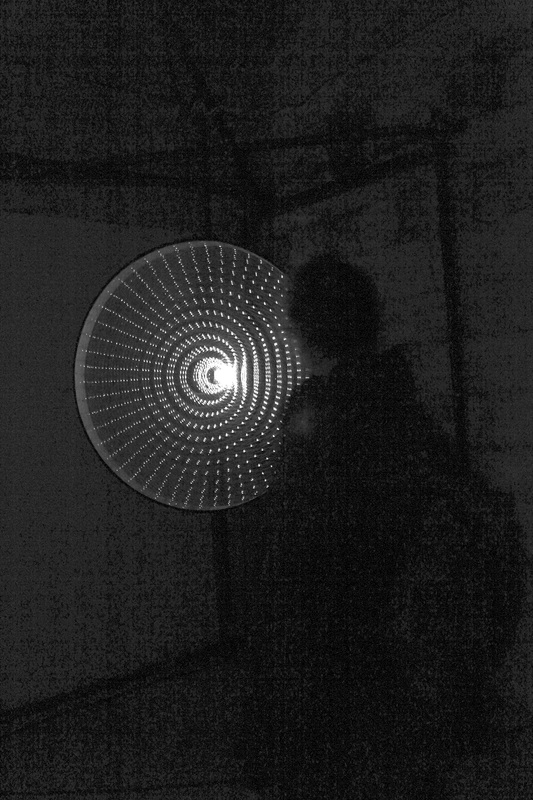 In total, there are 5310 lines and visible light dots. Installation views: Denise Rene Gallery, Paris. Installation views, overexposed same photograph. Photo Ivana Franke Studio. A circle is divided into 60 degrees. Each degree – a point on the circle – is connected by the lines with all the other points. There are 3540 connections and 1770 lines of each layer. 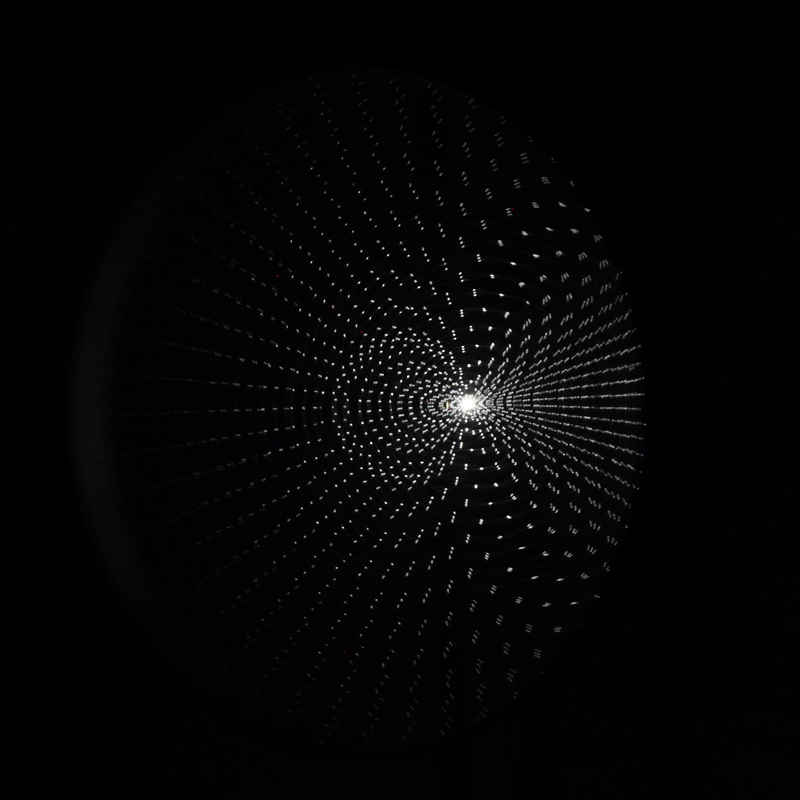 In total, there are 5310 lines and visible light dots.